Ranbir Singh Sidhu was born in London and studied archaeology at the University of California, Berkeley. 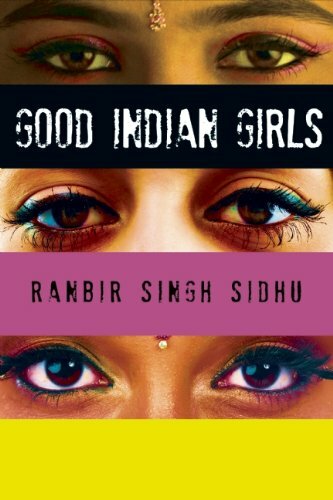 He is the author of Good Indian Girls (HarperCollins India/Soft Skull Press), a collection of stories (which has its own Tumblr! ), and Deep Singh Blue, a novel (forthcoming 2014). He is a winner of the Pushcart Prize in Fiction and a New York Foundation for the Arts Fellowship, and other awards. His plays include True East, Conquistadors, and Sangeet. His fiction appears in The Georgia Review, Fence, Zyzzyva, The Missouri Review, Other Voices, Alaska Quarterly Review, The Barcelona Review and other journals and anthologies. Stories are forthcoming in The Happy Hypocrite (UK) and The Literary Review (USA). Messy and undisciplined, with no clear schedules. I write in bed when I can, and I often try and get away and write while traveling, where I can keep the laptop next to my head, wake, sit up with some pillows behind my back and pull the computer onto my lap and get immediately to work, often still half-asleep and remembering dreams. Last year, I was very fortunate to be able to spend several months living on Crete and in Berlin, which was marvelous. The latter city was far more productive, but the Greek island much more beautiful. When I feel I’m becoming too sedentary, I use an improvised standing desk, usually built onto a dresser at home. I hate sitting and writing. I suspect the latter reminds me of awful days as a child in school in England when I felt locked into a desk while a faceless teacher droned on about something useless at the head of the class. What’s some writing advice you’ve received, that works for you? I’ve never received writing advice that was worth anything, and as a rule, I’d advise any writer starting out to ignore all the advice they’re given (there’s advice for you!). What has been important to me are the times I’ve worked with great editors. Three come to mind: Stanley Lindberg, the former editor of The Georgia Review; Monique Wittig, the French avant-garde novelist; and Lynne Tillman, the novelist and former ficton editor at Fence. All three were invaluable to me as a writer at various times in my life. As I was editing the manuscript of my new collection of stories recently, the one question I kept returning to was: What would Lynne Tillman do? This is amusing as this question is also the title of Lynne’s new book and at the heart of a viral poster campaign in New York City (so that I find myself walking down the street and discover the question shouting back at me from a wall). During the editing process, I took the question very seriously. If I thought Lynne would cut a line, out it would go. I am sure the book is much stronger for it. I’ll give one example, though there are many. I remember reading the Scots writer Alasdair Gray’s epic novel Lanark when it was first released in the US in 1985 and knowing immediately that he had done everything I ever wanted to do, and done it much better. It was both extremely exciting and terrifying, because that novel was so good, so monumental, so all-encompassing, that it was a tremendous thrill to read, but it also left me with the feeling that I could never surpass, perhaps never come close, to what he achieved. I still hold Gray’s singular accomplishment as one of the stars I guide my writing life by, and I hope, with each passing book, that I come a little closer to its unique brilliance. This was written by joannemerriam. Posted on Wednesday, October 30, 2013, at 7:52 pm. Filed under Fiction. Tagged Intermittent Visitors, Ranbir Singh Sidhu. Bookmark the permalink. Follow comments here with the RSS feed. Both comments and trackbacks are currently closed.